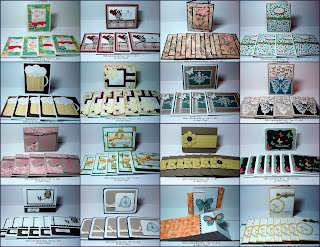 Susan brought me tonight a box of cards from OWH Cardmaking Party at her place on Sunday, Feb. 17, 2013. She and I went through every single card to make sure it is good to go to Sandy, President of Operation Write Home. Total number of cards is 150 and some extra envelopes are enclosed. 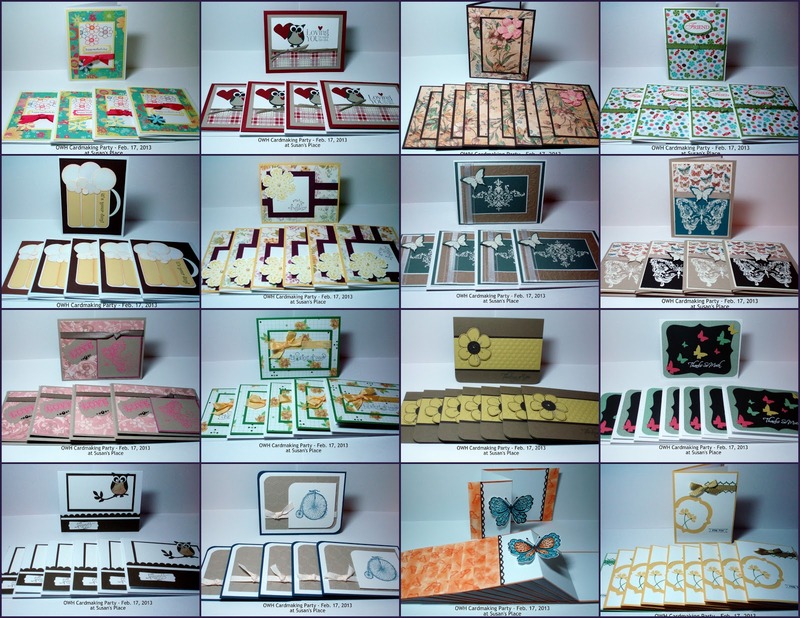 Oh, how much I am proud of everyone, Carla, Kathy, Janet, Joanie, Susan and her mom Nora, and Tricia, who participated in creating this beautiful collection of cards for the troops! Susan did a GREAT job to put them together. Susan, you are amazing! Thank YOU, my wonderful friend! Please enjoy these cards. I hope you will get inspired, too. Such a nice group of cards. I really like that big yellow flower one. What a wonderful batch of cards! The one on kraft paper with the yellow flower is my favorite as well. They are all great. I would love to have a group to make cards with. I'm sure it was a fun day for all of you. Thank you Cissy! Yes, it's always a fun day. What a beautiful bunch of cards! Such a great variety! I see a few I would love to CASE. Thank you for the inspiration!